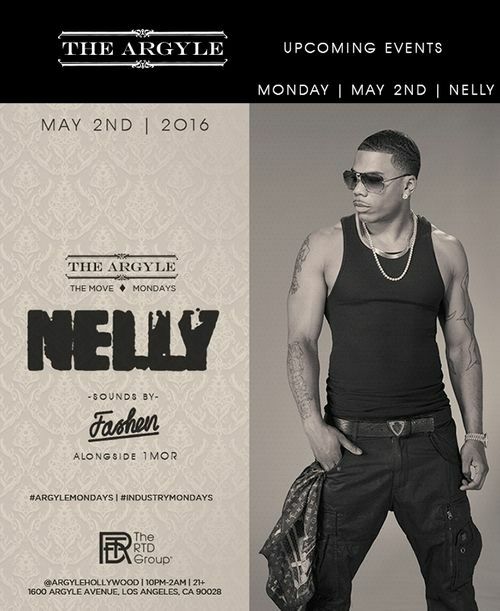 May 2 @ The Argyle. 10:00 pm. Nelly hosts The Move Mondays. 10:00 pm. Sounds by Fashen, alongside 1MOR.